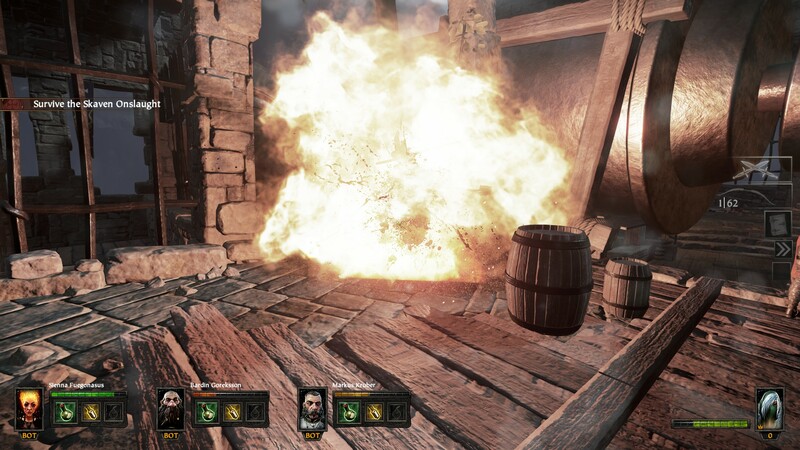 « Warhammer: End Times – Vermintide Out Now! In addition, the two major areas where I had problems during the beta – the character clipping and the sound issues, also appear to have both been addressed. The clipping issue is the most obvious, there is no longer a jarring feeling of having someones torso suddenly stuck on your head, instead the other friendly characters simply fade out when they are on top of you, and start fading in as they move away. This effect was almost completely invisible to me, and I had to actively stop and play around with the player collision to work out exactly what had changed. It may seem like a small thing to most, but to me it seriously helped maintain my immersion and just made the whole experience feel a lot smoother. The sound issue also appears to be resolved, the Sound continues to remain crisp and clear regardless of how many enemies are on-screen and how many explosions are going off in the background. I’ll be listening out further sound issues as I continue to play through, but I think its safe to say developer Fatshark are on top of the ball in this case! Vermintide – Meet the Devs! This entry was posted on Monday, October 26th, 2015 at 1:21 pm by Jason and is filed under Blog. You can follow any responses to this entry through the RSS 2.0 feed. You can leave a response, or trackback from your own site.